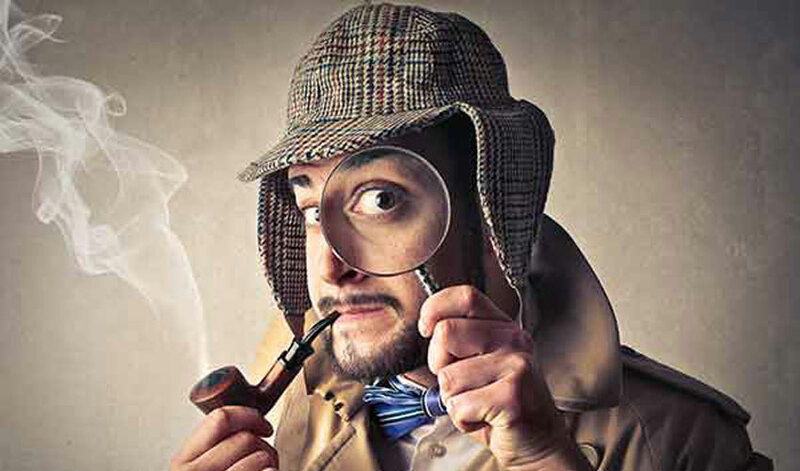 The fictional character Sherlock Holmes could quickly read a situation and come up with a conclusion that explained it. With practice, anyone can hone similar skills. Close observation of people and situations is exceptionally valuable. You'll notice subtle verbal and nonverbal cues during conversations, interviews, presentations, and anywhere else, allowing you to respond more insightfully. Sherlock Holmes and, more recently, the character Patrick Jane on the show "The Mentalist", make good use of these abilities. Psychologist Maria Konnikova wrote a book, Mastermind: How to Think Like Sherlock Holmes, in which she describes two central skills of Sherlock: observation and deduction. Unfortunately, most of us don't pay attention. We have busy schedules, long work days, and fast-paced lives. Young children, on the other hand, take in everything studying their surroundings and often asking so many questions they drive adults crazy. As we grow older, we lose that wonder. We could see quick improvements in our observation just by intentionally stopping and paying attention every now and then. We could start by observing one new thing every day and focusing on it. The concept is to progressively teach yourself to notice small details, and eventually you'll be more likely to notice thing that may be out of place. Take a few minutes to observe a person's behavior. Pay attention to how often they blink, how their eyes move, how their hands move, or where their focus moves. Then take a few minutes to think about why they moved as they did. The more you practice this type of discipline, the better you get and the more useful it becomes. Along with observation, Holmes used deduction, or logically analyzing observations to draw a conclusion. The first step is to see things through the eyes of a child and start asking as many questions as possible. Holmes doesn't necessarily remember more than the rest of us, but he recognizes connections many people miss. The more connections you make, the better you become at making deductions. It would be of great value to regain the curiosity we had as children about all the different types of things we want to learn. Working on increasing our daily attention to the environment and striving to regain that childlike curiosity will send us in the right direction. If you'd like to learn more, check out Konnikova's Mastermind: How to Think Like Sherlock Holmes.